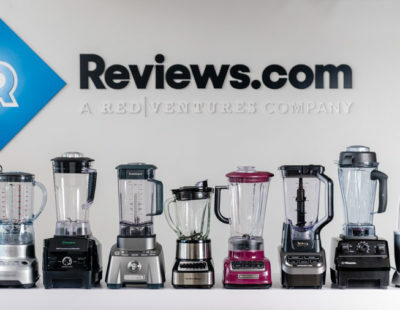 Reviews.com is reader-supported. If you click on or buy something via a link on this page, we may earn a commission. Sorry, something went wrong. Please refresh your browser and try again. 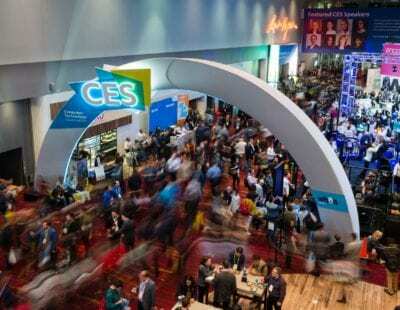 December 14, 2018 - A previous version of this review included two other top picks, the OXO On 12-Cup Coffee Brewing System and the Behmor Brazen Plus Brew System. These models have since become unavailable, and we have removed them from our picks. Keep an eye out for further testing with new contenders in the coming months. The best coffee maker should ace a great cup right out of the box — plus be mindless to use and easy to adjust. A panel of taste testers, interviews with experts, 10 pots, and about 500 cups of coffee later, we found the two machines that make your morning routine as simple as possible. In our quest to find the best, we aimed for drip machines with multi-cup carafes — no single serves. We didn’t want to muddy the results with French press, pour over, or espresso. 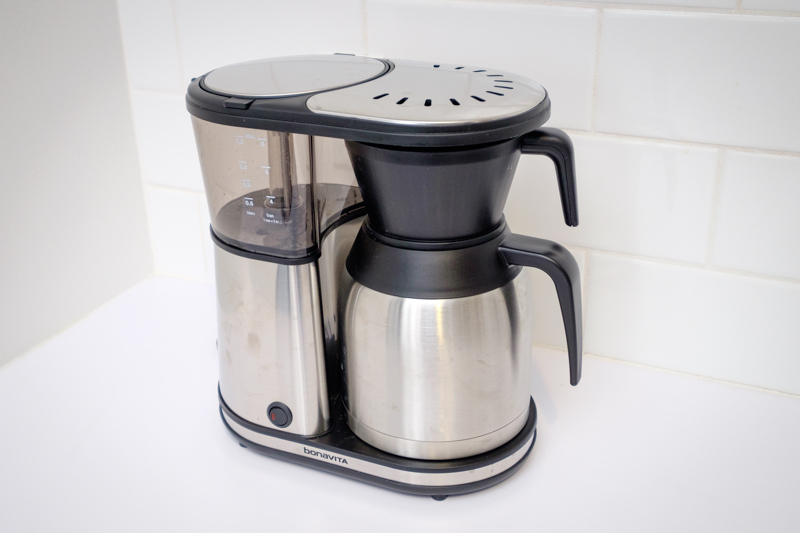 (Although if an espresso machine is what you’re after, we’ve reviewed the best of those, too). 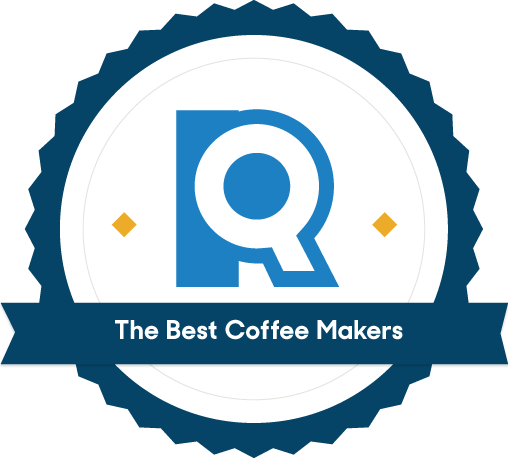 We chose 10 highly regarded coffee makers that regularly make it on best-of lists, earn accolades, or come recommended from the coffee experts we interviewed. Nikki Miller, manager of Cafe Grumpy in New York City, told us that a coffee maker is responsible for three things: heating the water to the optimal range of 195 to 205 degrees F, distributing water evenly over the coffee grounds, and allowing the grounds to brew for between four and eight minutes. Water that is too cold or a brew time that is too short will under-extract the coffee, causing a thin or sour taste. 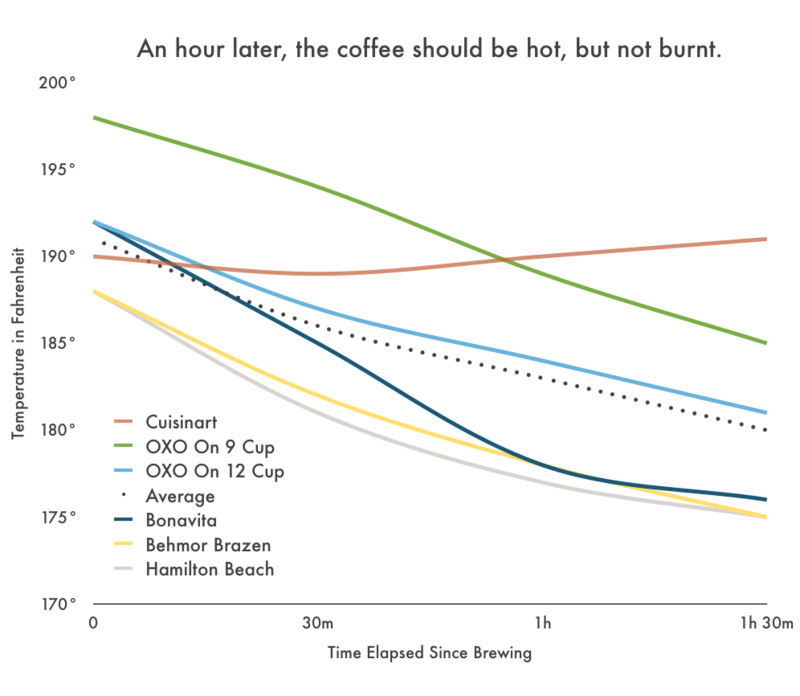 Over-extraction, on the other hand, can leave coffee burnt-tasting or bitter. To confirm that our machines could meet these three requirements, we looked for a Specialty Coffee Association of America (SCAA) certification — this indicates that a coffee maker can heat water to the optimal range of 195 and 205 degrees Fahrenheit. It also ensures that hot water will be in contact with coffee grounds for no less than four and no more than eight minutes. But Joseph Rivera, a coffee scientist at coffeechemistry.com, told us not that every manufacturer submits their machines for certification, and there are great coffee makers out there without its stamp of approval. For our four contenders that were not certified, we tested them using a simple thermometer and stopwatch. 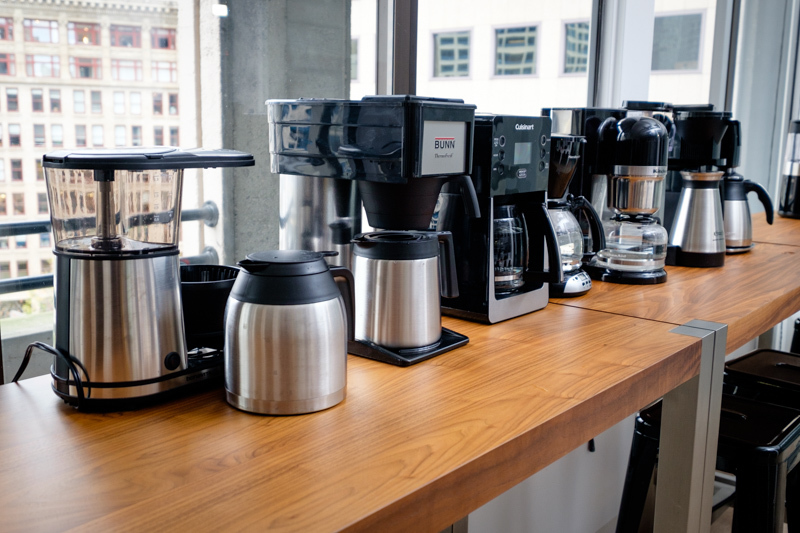 We gathered a group of coffee drinkers for a blind taste test of our 10 machines. Our testers ranged from baristas and professionals in the food and beverage industry to friends who claim, “I usually take my coffee with a ton of sugar.” It was important to us that we have a broad range of tastes. We ground the same medium-roast Mexican bean to each coffee maker’s suggested grind size using a Mr. Coffee blade grinder. (Each manufacturer suggests a grind size that will work best with its machine’s water distribution.) Then, using the SCAA’s suggested ratio of 60 grams of coffee ground to 1 liter of water, we started brewing. 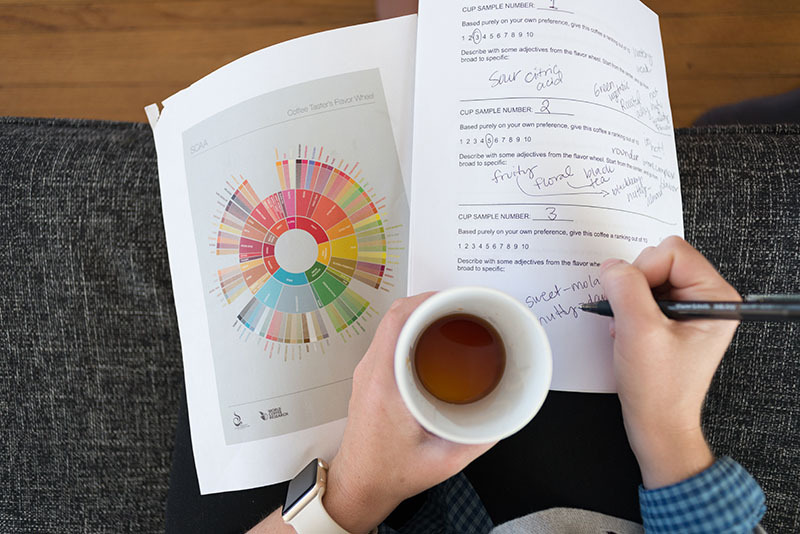 We asked our testers to rate the coffee according to their own personal preference. They also used the SCAA flavor wheel as a guide to describe the flavor and aroma of each cup. The goal was to find the machine that properly extracted grounds for a balance of notes and aromas, from slight hints of acid to a pleasant amount of bitterness. While taste is subjective, the results revealed some clear favorites. At the end of the day (or, rather, the very beginning), drip coffee makers are the most efficient way to make large quantities of coffee. And since most machines are fundamentally the same, we explored each one for nice-to-have touches that set it apart from the rest, from intuitive interfaces to programmable brew times to pre-infusing technology — a technique that puts hot water into contact with more surface area around each ground throughout the brewing process, improving the final product. 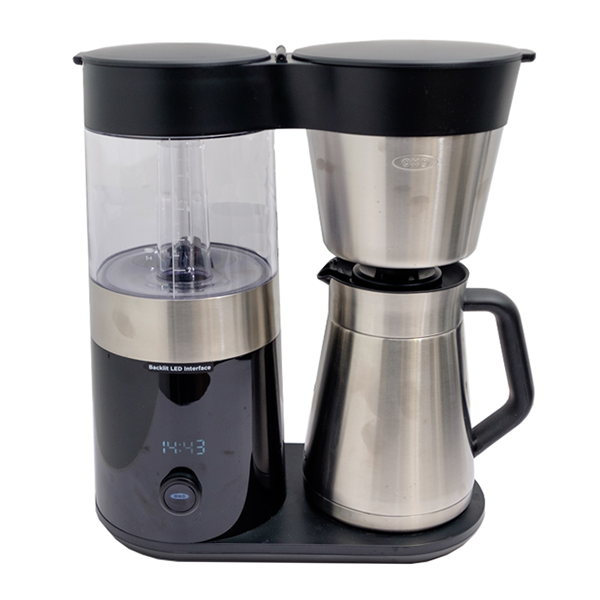 For us, the best coffee maker is the one that lets you make coffee the way you want, as easily as possible. It’s simple to set up and mindless to use. If that coffee maker is also well-crafted and beautiful to look at, all the better. A sturdy machine that allows you to tinker toward your perfect cup of coffee. The OXO On 9-Cup makes brewing simple, starting with its design: a single button with a scrolling dial underneath an LED interface. That button is the only one on the entire machine. With it, you set the time, how many cups you want brewed, and when you want the brewing to start. Plus, it comes with a handy auto-pause feature, which allows you to halt the stream of coffee mid-brew if you can’t wait the nine-minute brew time to taste your first cup. The machine has wide shower heads with multiple ports through which water streams, dispersing it evenly throughout the brew baskets. Lots of other coffee makers spout water through just one hole, or through shower heads with a smaller radius, which can increase the chances of uneven extraction. It’s also SCAA-certified, so you know that water is being heated to the right temperature and that the coffee is brewing for an optimal amount of time. It’s an impressive brew process for a relatively inexpensive machine, and one that produces a fine cup of coffee. While the Oxo On 9-Cup didn’t produce bad-tasting coffee by any stretch, it still ranked fifth out of 10 in our taste test. This is likely because of the brew-basket and filter shape: a cone, rather than the flat bottom of other models. Flat bottoms generally allow for the grounds to be more evenly extracted and increase the coffee’s flavor. With this machine, you may have to do a little more tweaking to achieve the best brew. While the OXO has an impressive number of customization features, it lacks an important one. This machine doesn’t allow you to tinker with water temperature, so you’ll have to adjust your brew around this limitation. A straightforward machine that makes gorgeous coffee but lacks handy features. The Bonavita has a simple design, but it does not skimp on quality. The machine is SCAA-certified for water temperature and brew times, boasts pre-infusion capabilities, and has a flat-bottom filter basket that extracts grounds evenly. That’s why we weren’t surprised that the coffee it makes ranked in the top three in our taste test. 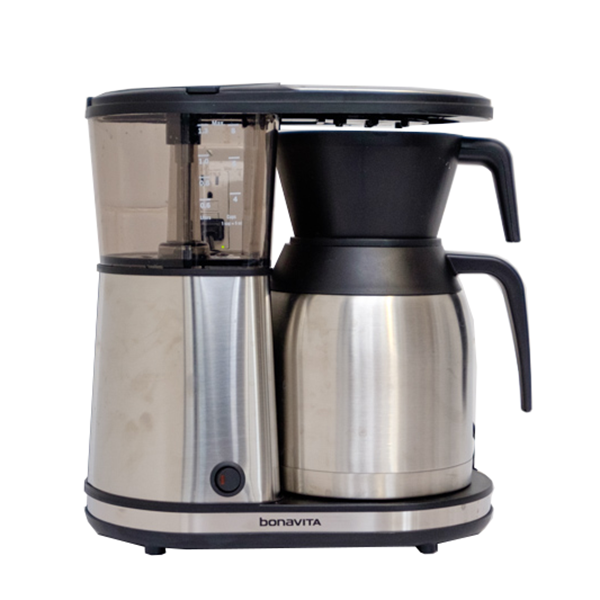 The philosophy of the Bonavita seems to be “everything you absolutely need, nothing you don’t.” The Bonavita is a simple, compact machine (about 12 inches by 12 inches) for making great coffee. That’s it. Like the OXO, it has only one button on its interface. However, unlike the OXO, that button does only one thing: start the brewing process. If you hold it down until it blinks, you’ll activate the pre-infusion; otherwise, a simple click gets it going. The Bonavita’s thermal carafe underperformed, with a full pot dropping from over 190 degrees F down to mid-170s in an hour. All thermal carafes have some sort of heat loss over time, but the Bonavita’s 16-degree drop was dramatic compared to our other contenders. There’s also no way to adjust the temperature of the water on the Bonavita or tinker with other variables. If you do want to experiment with the flavor of your coffee, it will depend entirely on the beans you buy and the size to which you grind them. While the Bonavita produces excellent-tasting coffee right out of the box, coffee aficionados may miss those extra features. All of the machines we tested came with either insulated carafes or glass pots with built-in warmers. Both have pros and cons. Glass pots are typically easier to clean because they tend to have wider mouths, and the lack of internal insulation means that glass pots will have a greater interior volume relative to their exterior volume — basically, it’s easier to get your hand or dish sponge inside. On the other hand, glass pots are more fragile and have to be heated from a base plate. Those base plates run the risk of raising the temperature of the coffee, which can make coffee taste burnt. The point of getting a great machine is that it takes the fuss out of your coffee making — if you’re going to fiddle around so much, why not just get a Chemex? However, a coffee maker is only one part of the good-cup equation. Some methodical experimentation could reveal a whole world of taste you never knew you could achieve. For our taste tests, we used an inexpensive blade grinder to grind our beans – that’s what the average home coffee brewer uses. But blade grinders aren’t super reliable, and, Miller explained, consistent grind size is the number one variable outside of your coffee maker that you can control to affect the quality of your coffee. Having uniform grind size throughout your brew basket makes it easier to isolate and adjust the taste of your coffee in order to get the level of extraction you want. The only way to achieve that is with a burr grinder. Miller — as well as a handful of our other experts — recommends the Baratza Encore Conical Burr Coffee Grinder ($129). Is drip coffee better than pour over or french press? Drip-style coffee makers have a bit of a flavor handicap when compared with other brewing methods like pour over and French press, which give coffee drinkers ultimate control over every aspect of the brewing (and therefore extraction) process. This makes it even more important to select a high-quality coffee bean for your at-home drip coffee maker. The flavor of any bean is defined by three main variables: the varietal (type of bean), the style of roast, and the freshness of the roast. It’s always better to get freshly roasted beans, so if you have access to a local roaster that regularly makes small batches, that’s going to be your best resource. Is freshly ground coffee better? What coffee should I buy? Whole bean coffee that you grind yourself is preferable to pre-ground, too. The bean’s exterior traps and protects all of the delicate, volatile, and water-soluble oils that give coffee its flavor. As soon as you break the protective shell, it’s easy for the flavor to get contaminated, and much of the aroma escapes as soon as the oils are exposed to air. What coffee beans should I buy? The best coffee bean comes down to personal preference. Arabica beans have a higher acidity, with notes of fruit and berries. Robusta beans are darker and richer, with more caffeine. Different levels of roasts — light, medium, dark — determine how much of the beans’ oils will break through the surface of the bean, which also affects acidity, flavor, and caffeine levels. 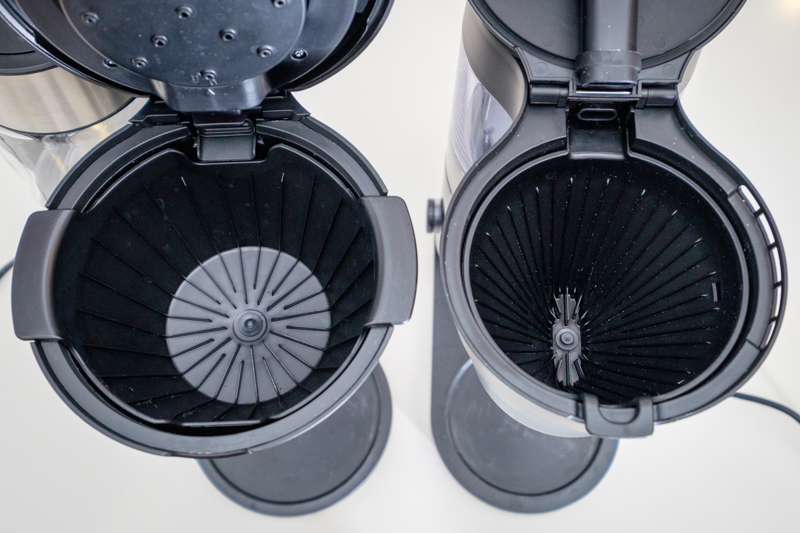 How often should I clean my coffee maker? If you don’t clean out your coffee machine’s carafe with soap and water after each use, you’ll always end up tasting a little bit of yesterday’s now-bitter brew. Thermal carafes need to be hand-washed, but plastic components like brew baskets and lids are typically dishwasher-safe if you keep them on the top rack. Sign up for our email newsletter, Magnified, where we uncover surprising truths, go behind the scenes of our reviews, and arm you with great dinner party conversation. Nice! Thanks for subscribing. Check your email to confirm. We research relentlessly to make your most important decisions easier. Want to stay up-to-date on our latest publishes, favorite gifs, and all things Reviews.com? Follow us on social media!